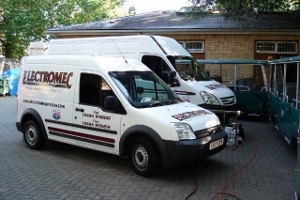 Electromec Services specialise in fabrication and the manufacturing, servicing of bespoke vehicles and products primarily for the automotive, plant and leisure industries. 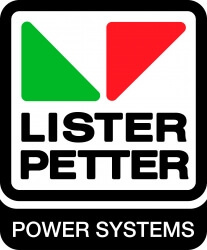 We are also agents for Lister Petter and FPT. Qinetiq, Hendy Ford, Balfour Beatty, Bournemouth Borough Council, Kew Gardens, The Eden Project and Comet to name but a few. We have a fully equipped workshop facility in Dunkeswell, Honiton, Devon and also operate outside service vehicles by fully qualified technicians with experience in mechanical servicing, fabrication and auto electrical systems. Along with general engineering facilities this equipment allows us to design, cut and bend almost any material including tube and weld steel, stainless steel and aluminium alloys to make anything you can think of! We also have fully equipped vans who can attend site for servicing needs and onsite problem solving. We are more than happy to give advice on problem solving on anything from simple repairs to manufacturing and fleet installing solutions. Please do not hesitate to contact us or visit our workshop if you feel we can help you in the future.